New Zealand’s first Yoga Conference, Hauora, far exceeded my expectations. 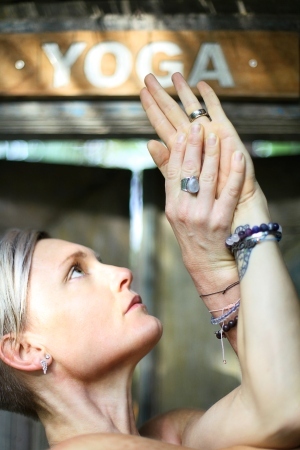 It was really great to see that the New Zealand Yoga Community is already on the G-O S-L-O-W wagon in terms of building interoception, improving vagal tone and allowing students to find what feels right for them. In many cases, this means letting go of the arbitrary alignment cues and even ‘classic poses’ to guide the students into a more felt experience and a deeper understanding of their own bodies. I was excited to see so many of the presentations (including my own) were addressing these topics and that the people who attended were eager to learn more about this. Neuroplasticity, vagal tone, heart rate variability and interoception are all areas I have a keen passion in particularly since I have used this to heal myself both physically and mentally. I came away thinking that NZ is by in large already adopting the slower more mindful approach to group classes. It seems that many studios have moved away from the ‘Power Yoga fast and furious classes with killer soundtracks’ that seem to still be the norm in places like the USA as J. Brown alluded to and I have experienced over there. I missed the discussion panel on Yoga Therapy as I was conducting my Vagal Tone session when it was on. However, I did listen to the podcast J. Brown posted after the conference. I found this discussion very interesting and it highlighted the fact that its extremely hard to put into words what Yoga Therapy actually is let alone try to govern it through either Yoga Alliance or Yoga NZ. I teach both public classes but the bulk of my classes are actually private clients. For me Yoga Therapy is really the one to one scenario vs the group class. In the one to one scenario I am generally working with specific injuries or conditions that mean its difficult or even impossible for the student to attend a public class. The goal is to set them up to be able to do this one day or to develop their own personal self practice. I think the big take away from this discussion was something that both J Brown and Donna Farhi both said – that all Yoga should be therapeutic, whether it’s in a group setting or privately. In order for this to happen we need to continue this movement towards slowing down, creating more somatic awareness and embodiment within the student and ultimately empowering them to find what is right for them.